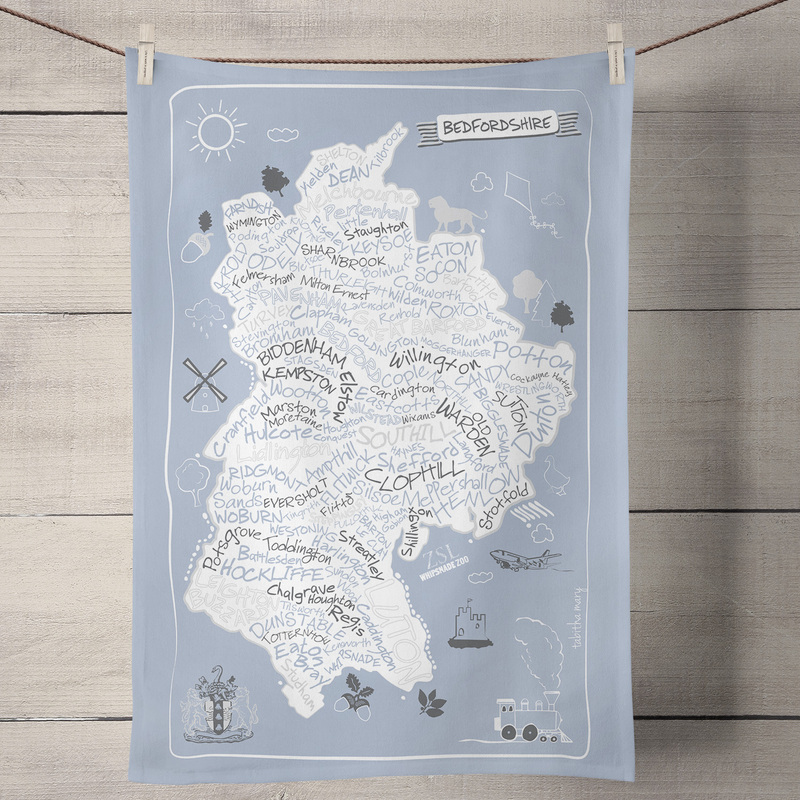 The all new improved version of the Bedfordshire County Map Tea Towel. New edge to edge printing, printed logo, hanging loop and improved quality! The perfect gift for anyone local or for yourself. Designed by myself and professionally digitally printed and constructed in the UK on 100% Cotton Tea Towel complete with hanging loop. Tea Towel comes folded with branded paper wrap. Tea Towel Dimensions: 46cm x 72cm. Wash care instructions: Wash Max 40 degrees. If you have any questions regarding this product simply drop me a line and I’d be happy to help.